Previous message: [IAEP] "SoaS For Dummies?" EeePC900 and (drag - drop/copy-paste) the .iso to the XP Desktop. 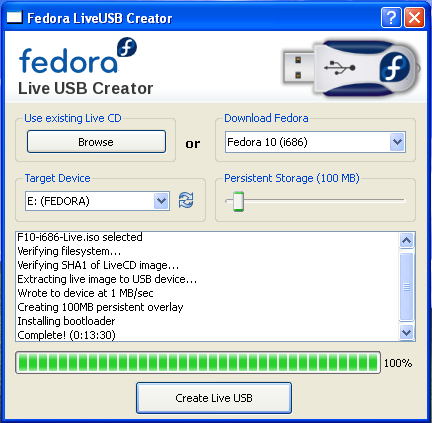 * Use Liveusb-creator for windows to make a soas USB with it. You can repeat this process for as many USB sticks that you want. If you get a message in graphical window :"... reset mbr"
it will restart graphical liveusb-creator using this extra command. > I do plan to purchase an optical drive as well, so I could put the image on cd. I could probably pick one up tomorrow or Sunday at Fry's so I would have it when the eeePC arrives Monday.